My mother gave me my first journal for my 9th birthday. It took me 7 years to fill it, and most of it consists of little more than a young girl’s dreams of ponies and confessions of school yard crushes. But I was 15 years old when my baby brother was born and died, and suddenly, I had something important to write about. He lived for 4 hours—such a short time for such a beautiful soul—and I wanted to remember every minute with him. It was this brush with heaven, this first real exposure to the fleeting nature of human life that convinced me that I needed to make a record of the people and events that shape my own. I am 32 years old now, and an entire corner of our apartment is held hostage by my words, stacked neatly in boxes because we don’t have enough shelves for all of our books. Those volumes are quite literally the story of my life. They are filled with the fear and excitement of a young girl leaving home for the first time to attend school 2,000 miles away. They chronicle my time in AmeriCorps, where my view of the world was turned on its head and I discovered myself by forgetting myself. They tell of my first love, my first heart break, and of daring to love again. They bear witness of friendships formed in times of happy abandon and tested by time and distance, and of strangers who existed in my world for only a moment but changed my life forever. I once had the opportunity to read a journal kept by my grandmother as she bicycled across New York state as a teenager. She had never told me about this adventure while she was still alive, but I fell in love with her voice as I read the little limericks she wrote about her traveling companions and described the hostels they stayed in. In an entry dated July 4th, she wrote about how proud she was to be an American and how grateful she was for the freedoms that granted her. Her words were simple, but they inspired me. 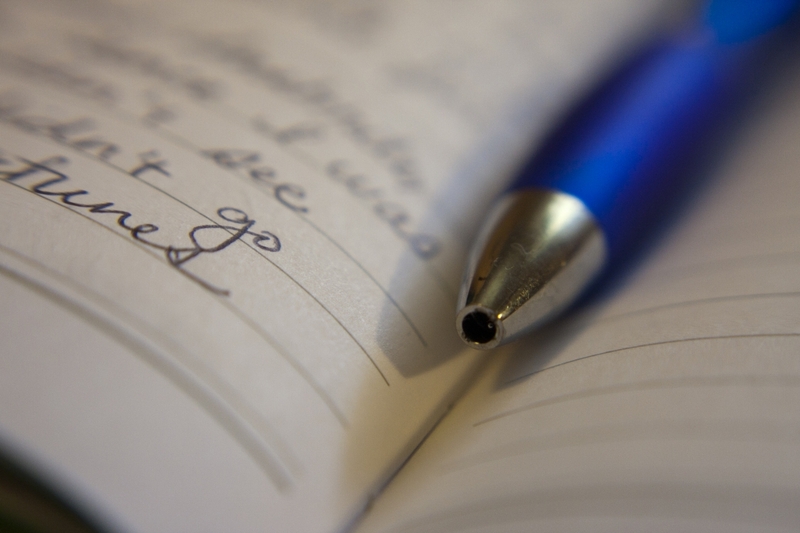 Journaling is a way to capture the ephemeral nature of life and hand it to those who inherit what we leave behind. When my posterity inherits those boxes of journals, I hope that I will have left them something worth reading. One of my goals here at Jest Kept Secret is to help my readers (you!) cultivate, recognize, and celebrate joyful moments in our everyday lives. I truly believe that “men are that they might have joy,” and I know that as we learn to appreciate that joy, we will experience more and more of it. And part of celebrating that joy is remembering it. “But Jess, my life isn’t very interesting,” you might argue. To that, I say HOGWASH. Your story is important because you are important. You might not change the world in some dramatic way, but maybe you will. Or maybe the stories you record about your life will change the world for one person. Maybe the only person that record will change is you. In fact, I can just about guarantee that it will change you—and for the better. 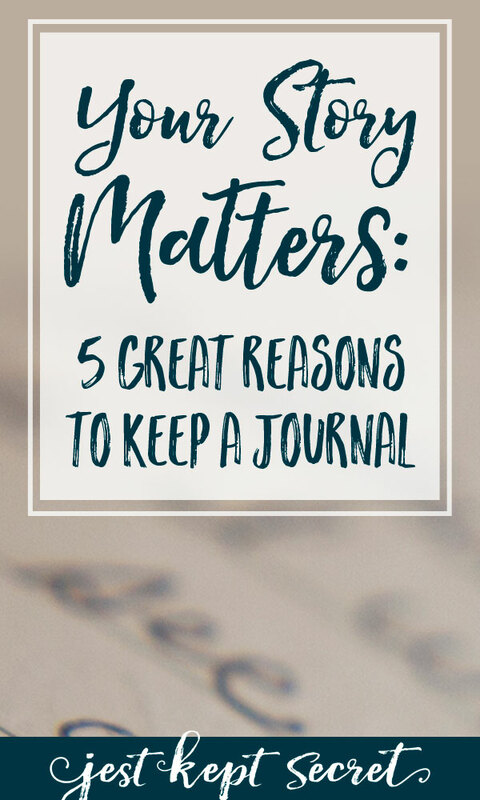 Here are five ways that keeping a journal will benefit you and the generations that follow us. E. M. Forster famously wrote, “How can I know what I think until I see what I say?” And honestly, that’s my number one reason for keeping a journal. So often, when faced with a perplexing issue or pondering a question, I pull out my notebook and start writing. I write out all my thoughts and revisit them as often as I need to find a solution or an answer. I also feel that my journal is the best representation of Me. I don’t mean that I only present myself as a perfect person in my journal, because that is both dishonest and unhelpful, but that by recording my innermost thoughts, joys, fears, etc., I create a paper version of myself that is honest, raw, authentic, and complete. Journals strip away the masks we wear in different settings, the personas we create to fit in to different groups, and leave only that which is truly Us. I believe that creating an authentic and honest record of our true selves includes remembering all of the details. Sometimes, that means remembering the moments of sorrow and despair that give context to our joy. I’m not suggesting we turn into Debbie Downers and focus solely on the negative in our life, but it’s the opposition in all things that helps us see the positive. Just as triumphs feel more triumphant when they come after defeat, writing about our trials and tribulations help make our joys more profound. I don’t always recognize the pattern of the Lord’s influence in my life right away, but whenever I read back through an old journal, it quickly becomes apparent. It’s always a bit amusing to look at situations that once caused me pain or frustration and to know how the actually turned out for the best. Hindsight, as they say, is 20/20—and hindsight shows that things always, always, always work out better than I could have expected. I am able to see now that all those schoolyard crushes didn’t work out because God was saving me for a much better partner—and how the worst job I’ve ever had was necessary to put us in each other’s path. I can see how the prompting that led to me leaving my beloved film school paved the way for me to move to England in pursuit of the career I was actually made for. I can see how people I met in chance encounters turned into friends who have blessed my life tremendously. In July 1844, Joseph Smith was martyred by a mob at Carthage Jail. I’ve learned about this somber event in countless church history classes, but a journal entry by my own fourth-great-grandfather helped make it feel real to me. 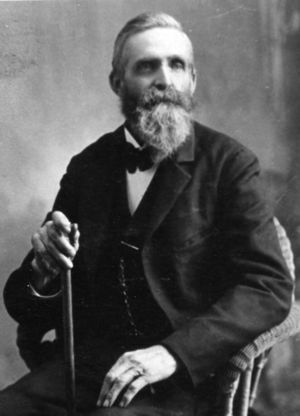 Lorenzo Hill Hatch was serving a mission when Joseph was martyred. He was staying with a distant cousin when the news reached them, and he recorded the news in his journal. His words were a testament to just how profoundly the death of the Prophet affected the Saints. I could feel his sorrow, and no longer was this just an event I learned about in Sunday School. This was a real thing that happened to real people. Another journal also helped my family connect with our ancestors on a very personal level. My family has more than our fair share of vacation horror stories. The running joke was that we couldn’t go on vacation without the car breaking down or someone dying. On one fateful vacation, we got stuck in the tiny town of Brinkley, AR, with a blown transmission. Thanks to the 5 days we spent in that hotel room, we had to cut a week’s worth of sites off of our 3-week adventure. One of the stops that got axed was Nauvoo, IL. We made up for that a few years later with a trip to Nauvoo. While there, we happened to meet a couple of senior missionaries who turned out to be distant relatives. As a result of that meeting, we were able to get a copy of a book about that aforementioned fourth-great-grandfather, Lorenzo, and his father, Jeremiah. Reading that journal entry helped my family connect with an ancestor who died long before any of us were born. Just think of all the connections you could be making with future generations every time you write in your journal! How sweet that reunion will be when we meet on the other side and feel like we already know each other. 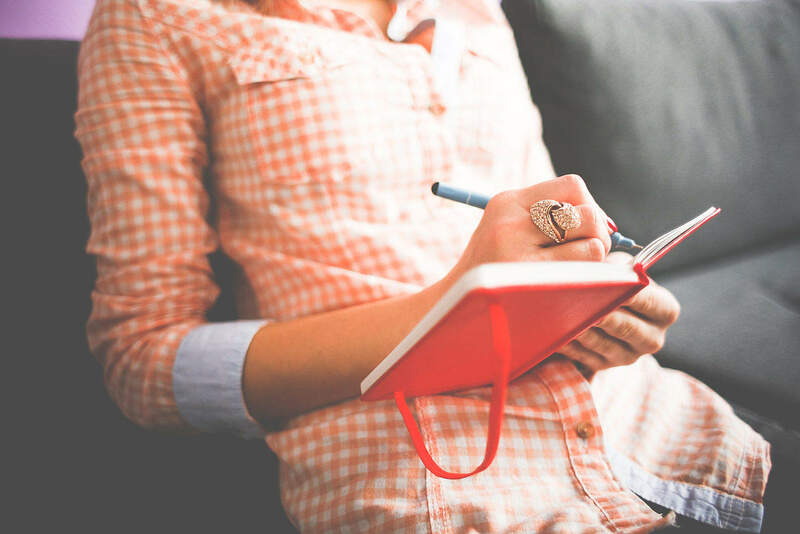 If you’re looking for more inspiration to start (or improve) your own journaling habit, be sure to check out my Journal Keeping board on Pinterest! Do you keep a journal? What inspires you to document your life? If you found this post useful, please share it. Thanks! Part of this post was originally written as a guest post for My Sweet Old Etcetera in 2011. Library of Congress: Why Use Primary Sources? Image of girl writing in journal courtesy of Picjumbo.